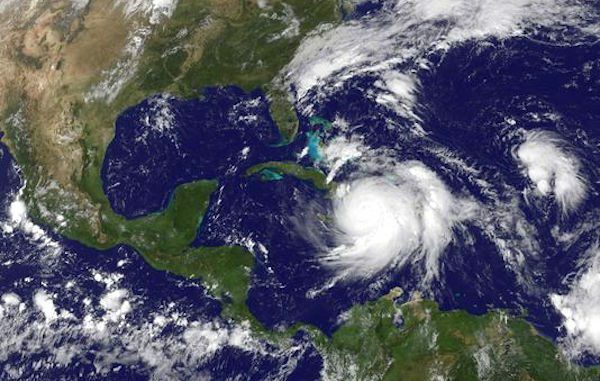 SEBASTIAN – Residents are preparing for Hurricane Matthew, which is expected to become a Category 3 storm off the coast of Florida by Friday. There are hurricane watches currently from West Palm Beach to Jacksonville, Florida. If you need gas, head up to Grant, just north of Sebastian. We found a couple of gas stations with no lines off U.S. Highway 1. If the Chevron is full, continue north until you see the next station on the right (across from Rib City). This is a dangerous storm that could hit our area if it shifts west. At this time, forecasters say the eye of the hurricane will be about 70 miles off the coast of Florida. Forecasters are trying to figure out the timing of the Hurricane Matthew and what the storm will do as it moves parallel to the coast of Florida. So far, the Sebastian area can expect tropical force winds, possible floods, and power outages. Residents are asked to pick up any laying debris on their property. Most stores are out of water, but more water is on the way. If you can’t buy water today, don’t panic. We called Walmart, and they told us that additional trucks would be hauling pallets of water today. These pallets will be located at the entrance when you enter the store, and near the isles where you check out. Publix and Winn Dixie stores also confirmed that more shipments are on the way. Walgreens is another source to buy water, although they couldn’t tell us when additional shipments will arrive. You should be preparing for the storm by having a fully-charged phone since that might be your only way to communicate during and after the storm. Make sure you have batteries and flashlights ready. And, be certain you have enough food and water for three days. In Barefoot Bay, residents are picking up items in their yard and closing the shutters. “I am more worried about a tornado than this storm,” one Barefoot Bay resident said. Please stay tuned for more updates on Hurricane Matthew.